KNOXVILLE, Tenn. and NATIONAL HARBOR, Md. -- As winter approaches and baseball's Hot Stove season heats up with major announcements, BUSH'S® Beans and Minor League Baseball® (MiLB™) today unveiled a multi-year, strategic partnership, making it the "Official Beans of Minor League Baseball," and a "Preferred Partner" of a number of MiLB teams, beginning in 2017. Bush Brothers & Company is the recognized brand leader in baked beans and other prepared bean products. "What better time than at the Baseball Winter Meetings™, when our entire baseball family and closest friends are gathered in one place, to announce the collaboration of two family-centric brands -- Minor League Baseball and BUSH'S® Beans," said David Wright, Minor League Baseball's Chief Marketing & Commercial Officer. "Aligning with a company that shares a similar vision for growth and like core values is front and center in our approach to the marketplace." 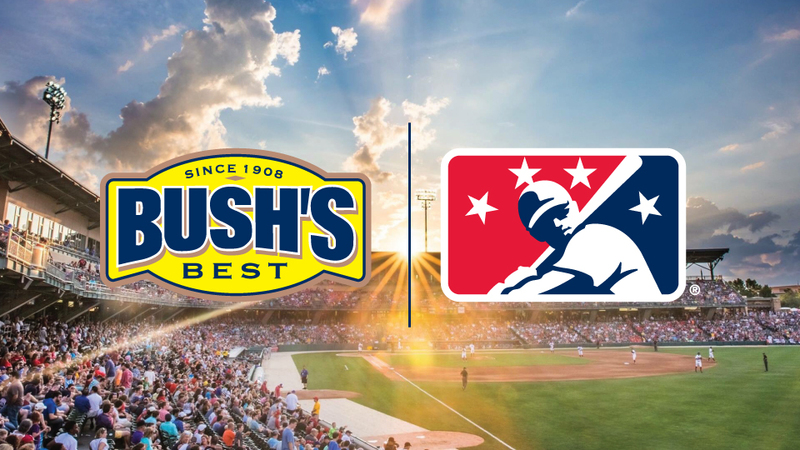 "We are thrilled to expand our partnership with Minor League Baseball and look forward to bringing two great American classic traditions together, baseball and beans," said Ken Oakley, Senior Brand Manager, BUSH'S Beans. "We look forward to exciting fans with great in-stadium and retail promotions this baseball season." The new partnership will activate across a range of touch-points, including in-ballpark celebrations such as during National Baked Bean Month in July and the integration of a variety of BUSH'S Beans products in teams' concessions. Further reinforcing Minor League Baseball's status as the leader in family entertainment, SportsBusiness Journal/SportsBusiness Daily (SBJ/SBD) recently announced that MiLB was named "league with the most family-friendly game/event experience" in its annual Reader Survey.